Creativity strikes us at the oddest of places, but Blue Matchbox Co. is a studio where you’ll feel inspired to create in any of their corners. 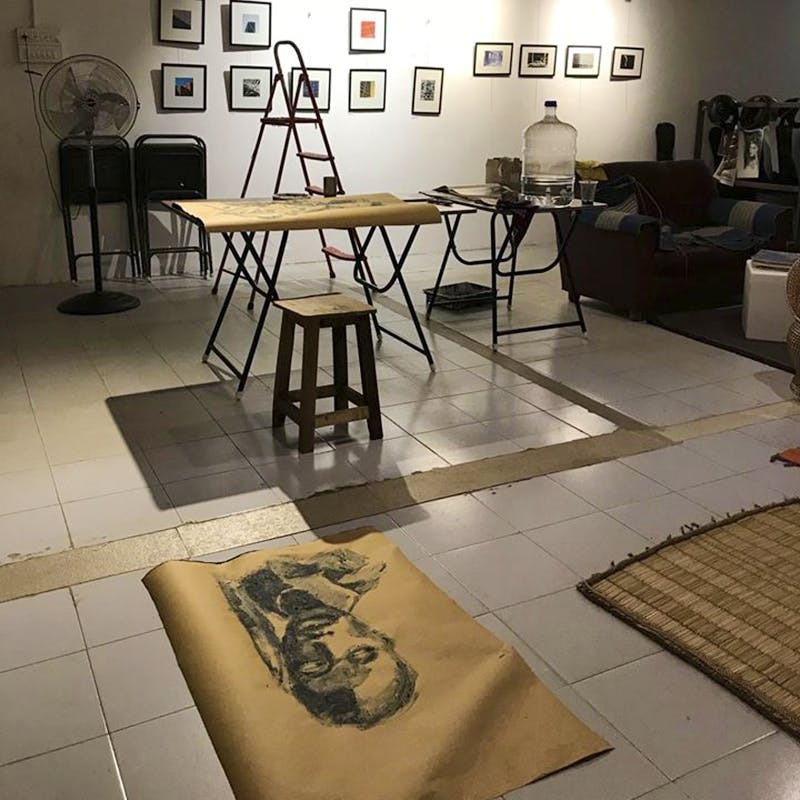 Based out of Basavanagudi, the studio space also doubles up as a gallery if you’re looking for a spot to display your work. Started by a mechanical engineer to pursue his true passion (Don’t we know this all too common story?) - art - the space was created to welcome anyone with creative flair to work, share skills or conduct workshops among other things. Yoga classes, photography workshops, story telling sessions and even intimate live gigs (right from Sofar, to classical music from upcoming local musicians) have taken place here. If you’d like to take classes to perfect a skill, or pick up a new hobby, one of the periodic activities conducted there should have you covered. The displayed collection includes artwork (as well as photographs) of in house as well as external artists and designers, with a huge chunk of it available for sale too. Be it portraits and detailed doodles, or murals and quirky furniture for home, everything in store is a piece of art. They also retail lifestyle products from small, sustainable lifestyle brands where either the products or the production method itself contributes to a sustainable lifestyle. Since the studio uses a lot of the products from these brands, just be sure to ask them which ones are for sale. The internal team also takes on large scale community art projects, logo design, posters, and photo shoots in-house or at the location of your choice. They hold jam sessions and meet ups for creatives (like Creative Morning Meets), just give them your number and they'll shoot you a text when the next event is happening.